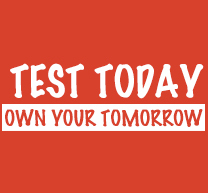 We currently test 35,000 South Africans for HIV/AIDS every month. It is estimated that 6.19 million South Africans are HIV+. Our vision is that all South Africans know their HIV status, and all those who are HIV+ are on Antiretroviral Therapy.